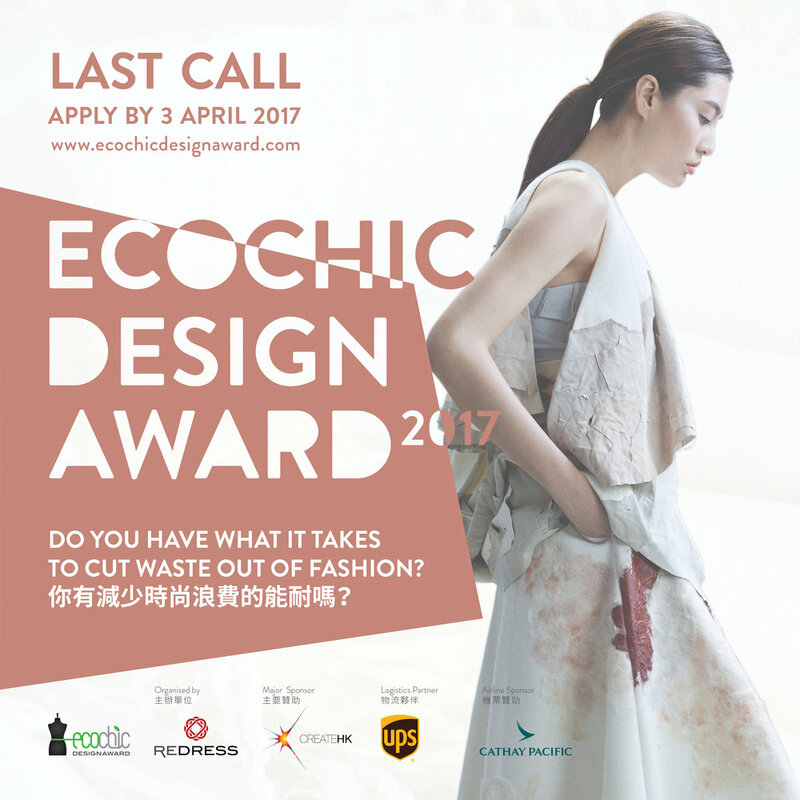 There is just one month left until our EcoChic Design Award 2017 closes for applications on 3 April! In case you’ve missed our updates, we’re now open to designers with less than three years’ industry experience living in Asia, Europe and - for the first time - the United States. Following a design rollercoaster, the 10 finalists (announced on May 25) will present their waste-reducing collections in Hong Kong in September 2017 for the catwalk finale show, with cameras filming every step of the way for Frontline Fashion Season 2. This cycle’s winner gets the chance to create an up-cycled collection for BYT, the new affordable luxury, up-cycled fashion brand, which will retail on BYT’s future e-commerce site and at Lane Crawford, Asia’s leading iconic luxury department store. This along with many other prizes and opportunities are up for grabs, so get applying!